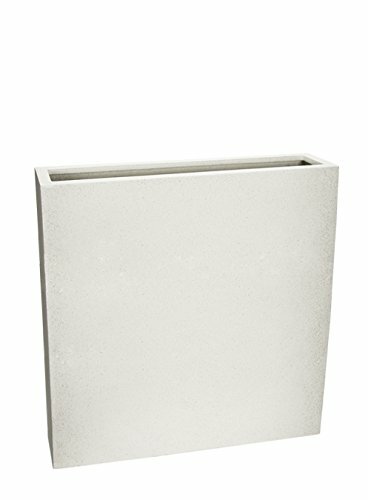 Le Present J580.068 White High Flower Box Fiberstone Pot44; White - 35.4 x 35.4 x 9.1 in. If you have any questions about this product by Le Present, contact us by completing and submitting the form below. If you are looking for a specif part number, please include it with your message. Le Present J256 Stainless Steel Cone Hammered Copper Planter44; Hammered Copper - 36 x 14 x 14 in. Le Present J200150.061 Red Bullet Fiber Pot - 59 x 20.5 in. Le Present J246 Stainless Steel Cone Hammered Copper Planter44; Hammered Copper - 28 x 14 x 14 in. Le Present J247 Gold Stainless Steel Cone Planter44; Gold - 28 x 14 x 14 in. Le Present J257 Gold Stainless Steel Cone Planter44; Gold - 36 x 14 x 14 in. Le Present J310 Stainless Steel Flute44; Mirror44; Mirror - 47 x 12 x 12 in. Le Present J300 Stainless Steel Flute44; Mirror44; Mirror - 37 x 12 x 12 in.